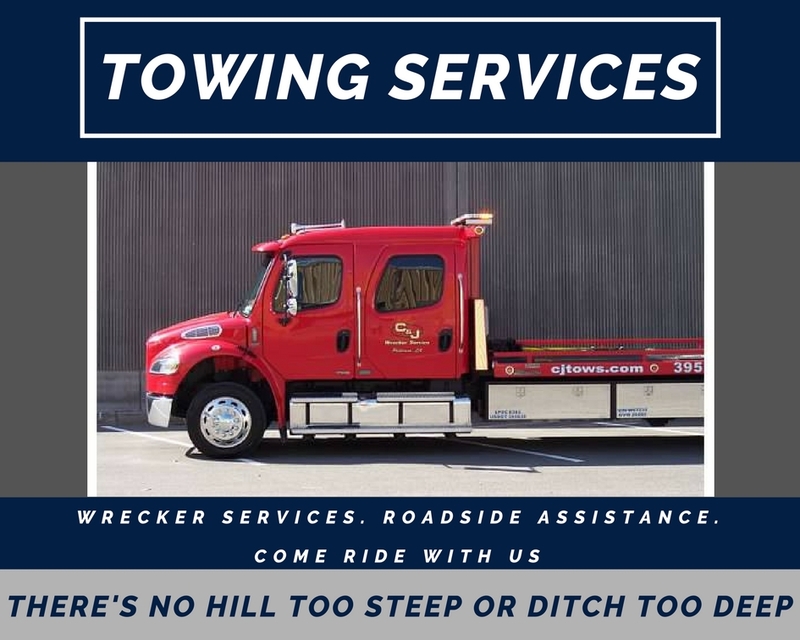 C & J Wrecker Service has proudly been serving St. Mary Parish and the surrounding areas since 1975. We are a family owned and operated company, that's why we treat your vehicle like it's one of ours. We offer fast towing services at competitive rates. But more importantly, we do it right. Have you ever had your vehicle towed and noticed your tires start to wear out a mere two or three months later? Well, it's no coincidence; it's because most towing companies are utilizing dated, 1980's technology and equipment. But not us. We realize that your vehicle is likely the second most valuable item you own. So. that's why we use only the BEST and latest when it comes to our equipment. If you've been in an accident, call us at (985) 395-2453 and we'll be on our way! We take pride in putting our client's needs first...after all, that's what we're here for. Plus, we are the only WreckMaster trained drivers in St. Mary Parish! We're always here for you when you need us. Even during the holidays. We can expertly take care of your roadside assistance needs. Towing. It's what we know and what we do. When clients call us in the dead of night, we're on our way. We offer 24/7 Light, Medium and Heavy duty towing services when you need it most. Never worry again about what to do when you break down; just leave it to us! Dead battery? No worries! Lock yourself out of your vehicle? Perhaps while it's still running? We're on it! For all of the dreaded scenarios we are here for you. Our team offers round-the-clock jump-start and lock-out assistance that you can trust! As a licensed and insured company, we are committed to providing our clients with the best experience possible. We understand that when you call us, you're likely in a stressful situation. That's why we work hard to get you back on the road quickly. Car trouble? Need help fast? Just call us at (985) 395-2453 and we'll be on our way! At C & J Wrecker Service we offer fast towing service at competitive rates. When your car breaks down, you need a company you can trust to arrive quickly and provide the help you need effectively. That's us. We're here for you when you need us most.